It’s great to get booked for keynotes, but what you can offer when the audience wants more? You’re already in town, why not offer something like panel facilitation? 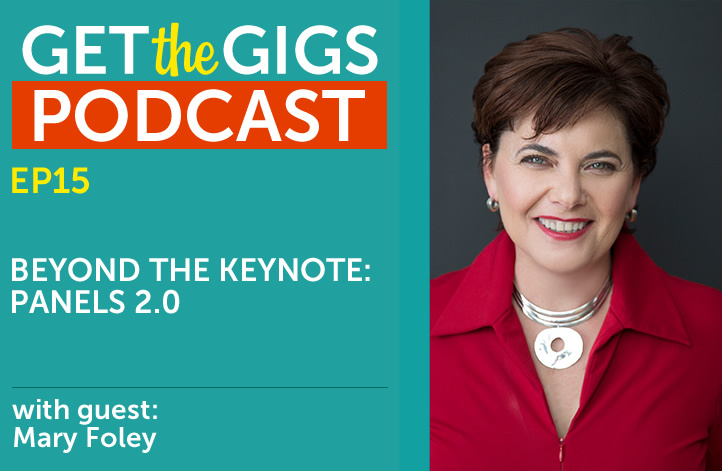 Mary Foley has made great career out of adding her Panels 2.0 Facilitation as a service alongside her keynotes. Hopefully, this will give you some ideas about what you can do to add an extra dimension to your speaking business. What are panels 1.0 and why are they boring? Standing up at the mic to ask a question doesn’t really work. There’s a lot of planning and a lot of moving parts that go into a Panels 2.0. If you’ve got a good keynote and a good topic, meeting planners are going to want to know, what else do you have to offer? How can an add-on service, like panel facilitation, allow you to go deeper with your audience? And…while you’re at it, increase revenue! Mary does a lot of work with women’s events. What were some of Mary’s game changers in terms of branding and marketing? If you click on the blog page, in the sidebar you’ll see the report that Mary mentions in the episode.